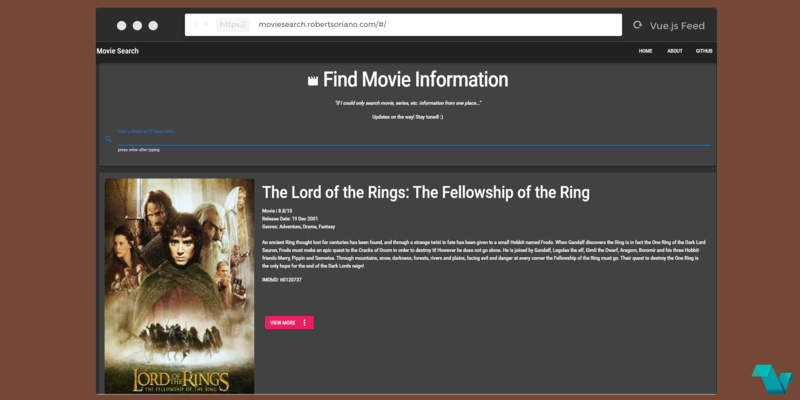 A movie search web app to obtain information about movies, like ratings, release date, genres, plots and more, made possible with The Open Movie Database, Vuetify and of course Vue.js. Just search for your favorite movie/series and hit enter to get all the related info! "If I could only search movie, series, etc. information from one place..."
Movie Search is a project that gives information about a legitimate movie an TV show as easy as possible. The Movie/Show data is a property of OMDbAPI. 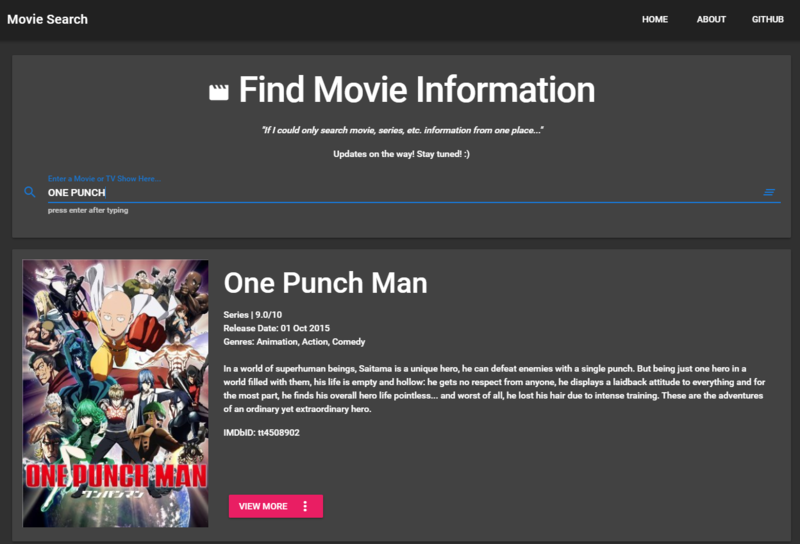 The OMDb API is a RESTful web service to obtain movie information, all content and images on the site are contributed and maintained by our users. This web app is an open-source project and the code is hosted GitHub, created by Robert Soriano.